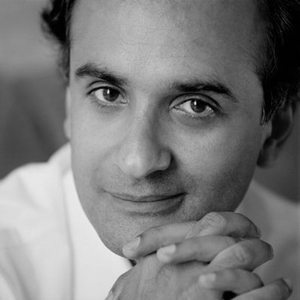 Colin Marshall sits down in Nara, Japan’s Nara Hotel with writer of place Pico Iyer, author of such books as Video Night in Kathmandu, The Lady and the Monk, The Global Soul, and most recently The Man Within My Head. They discuss the discovery that Japan looks exactly like Japan, and the “piercing sense of familiarity” the enthusiast feels upon visiting for the first time; autumn in Japan, and its place at the core of The Lady and the Monk, his second book and still his favorite; Japan’s distinctive combination of buoyancy and poignancy, which leads to the pre-savoring of wistfulness to come; the culture’s dissolution of mind, heart, and soul all in the same place, and his efforts to build an intellectual infrastructure around his Japan-related intuitions; his recent reading of John Cage, an unexpected master of the Japanese virtues of not knowing and not saying; the necessity, when you want to write about something, to write about something else, and of writing about a passion in order to write about yourself; the Californian question of “being yourself,” and its inadmissability to the Japanese mindset; his relief at not having to be Japanese within Japanese society, and what being a Japanese in Japanese society has done to visit a female brain drain upon the country; what it takes to best remain an outsider in Japan, enjoying its peculiar kind of diplomatic immunity, and how Donald Richie mastered that exchange of belonging for freedom; street vending machines and train-station bathrooms as outgrowths of both Japanese thoughtfulness and the nation’s tendency to regard itself as a family; his visit to West Point, where the cadets received The Lady and the Monk as required reading; the danger of Japan’s getting left behind by the increasingly interconnected world, what with its bad public relations and low level of spoken English; the enduring “vitality” of the seemingly less civilized places outside Japan; and how Japanese literature expresses nothing happening because Japanese life values nothing happening. This was written by Colin Marshall. Posted on Wednesday, January 2, 2013, at 1:38 pm. Filed under Japan, Notebook on Cities and Culture. Bookmark the permalink. Follow comments here with the RSS feed. Post a comment or leave a trackback.